Susan Naomi (Footskulak) Wells, 90, of Franklin Pike, Meadville, passed away Wednesday, December 5, 2018 at Meadville Medical Center. She was born June 23, 1928 in Saegertown, a daughter of Harvey and Rose Edge Kaster. She married Ferdinand Footskulak June 26, 1948 and he preceded her in death in 1975. She subsequently married John Wells February 14, 1982 and he preceded her in death in 1993. Naomi attended Meadville High School. She worked at G.C. Murphy Company, W.T. Grant’s and Printz’s and Gilbert’s Restaurant. A member of New Beginnings Church of God, Naomi was a former member of the Meadville Eagle’s Auxiliary and had been active at the Meadville Senior Center. 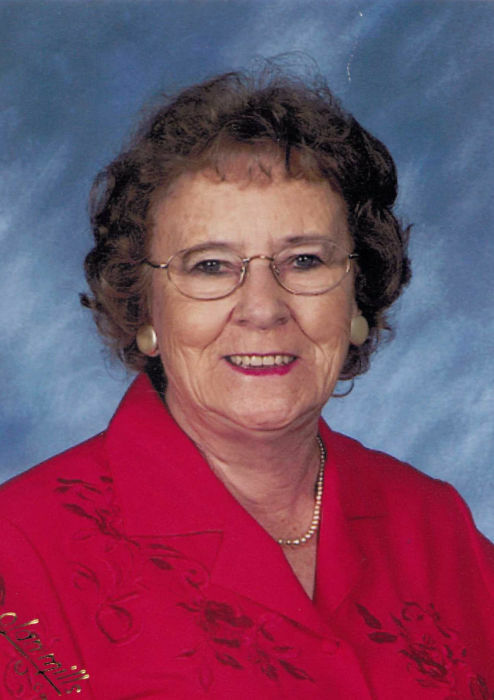 She enjoyed spending time with her family and loved to line and square dance. Survivors include two sons, Donald R. Footskulak of Guys Mills and Ferd Footskulak (Gie) of Meadville; a granddaughter, Courtney Zunic (Josh) of Wexford; a sister, Ruth Smith of Meadville; and nieces and nephews. In addition to her parents and husbands, she was preceded in death by a sister, Gladys Gilbert; two brothers, Earl and James Kaster; and a daughter-in-law, Harriet Footskulak. Calling hours will be Friday, December 7th from 3-6 p.m. at the ROBERT W. WAID FUNERAL HOME, 581 CHESTNUT ST., MEADVILLE where the funeral service will follow at 6:00 p.m. with the Rev. Temple Jarrell, Pastor of New Beginnings Church of God, officiating. Interment will be in Union Cemetery. Memorials may be made to New Beginnings Church of God, 13226 Leslie Rd. or Active Aging, Inc., 1034 Park Ave., both of Meadville, PA 16335.